I'm blown away by the number of entries month by month - 527 entries for July. When I had the idea for this challenge blog I wasn't sure whether anyone would be that interested, so it has been beyond my wildest expectations to see so many crafters coming on board month by month, some of you have become 'regulars' and it's also good to see new people joining in too. 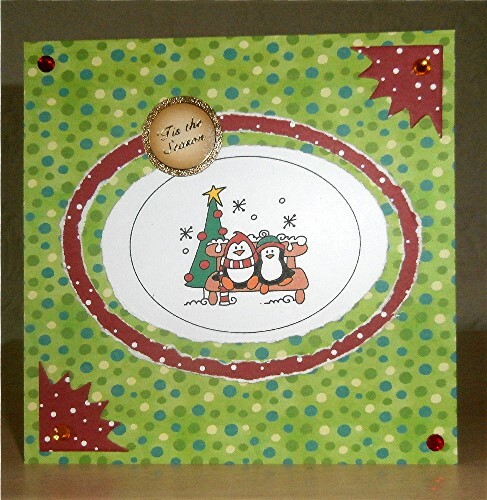 Thank you so much for your support and enthusiasm in sharing your creativity using patterned paper. Congratulations, Rachel! Please email me at hazelharris@ntlworld.com with your full name and address so that I can post your surprise pack of patterned papers. You can scroll down to see the winner for the June challenge or click on the link here. It's worth checking because it might be you! 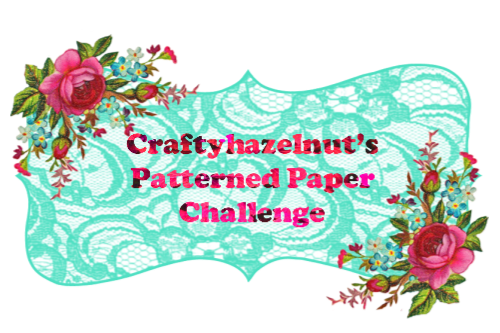 Please click here to see the winner of Craftyhazelnut's Patterned Paper June challenge. I hope you will join in again for the July challenge and that the news will spread even further so that others come and join us too. I'm sorry that I'm unable to show a picture of the prize that will be sent to the randomly chosen winner (I'm away from home atm and forgot to prepare a photo) - so it will be a mystery package of patterned papers! Also a big apology if I didn't get to comment on your entry for June - we were away for a few days until Wednesday of this week and, unfortunately, I came home poorly and am only just surfacing! I hope you will forgive me. My first card is one that I made for my CHNC challenge extra for July that has just gone live (please join in that if you can) using Little penguin winter - winter bench, kindly supplied by the sponsor, Bugaboo Stamps. I coloured this digitally, and matted on to torn ovals - papers from my offcuts box. The corner pieces were created with a Spellbinders die. You can see this here on My Crafty Outlook. July's challenge will end at 20:00 UK time 31 July. 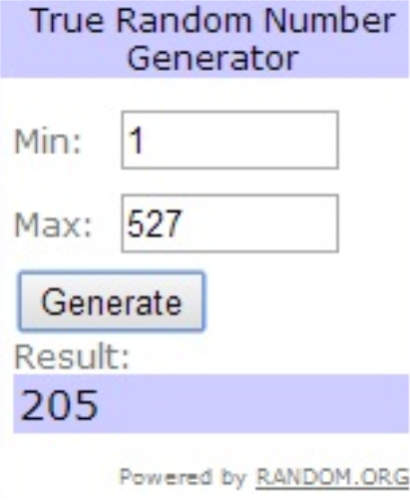 The randomly chosen winner will be announced at 23:00 UK time on 31 July and a new challenge will start at midnight on 1 August.